Well I'm trying to keep up with these posts as well while I'm doing the A-Z challenge and it's harder than I realised. But I'm finding I'm falling into a pattern to sit at my computer each day to write. It's getting much easier to write. I know it's been surprisingly fun to just sit and write and learn more each day. Though I'm not sure how much I'm actually learning. That said I have great news for today's post. I finished the next motif on Baroque!!!!!! Can you tell I'm jumping up and down!!!! It's been a while coming... mainly because I keep getting distracted by other crafts. 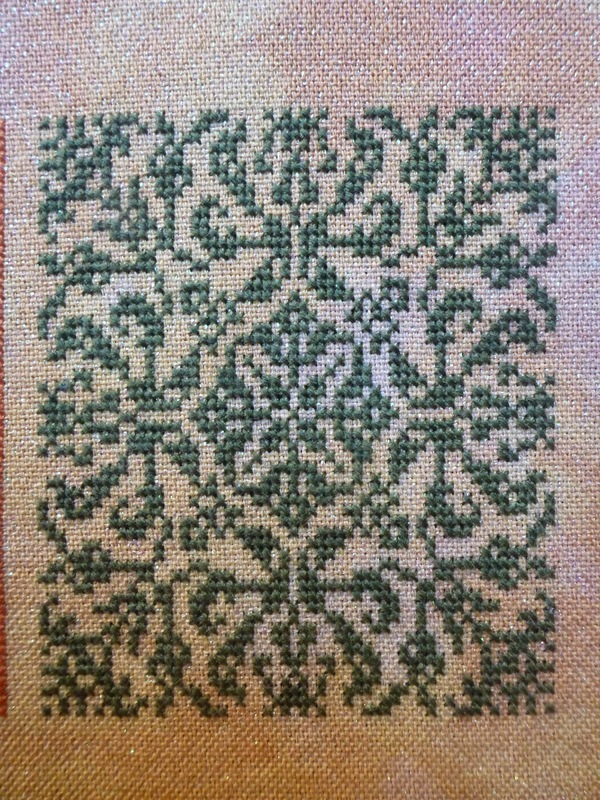 In the end I always come back to cross stitch and I do love working on these colours. 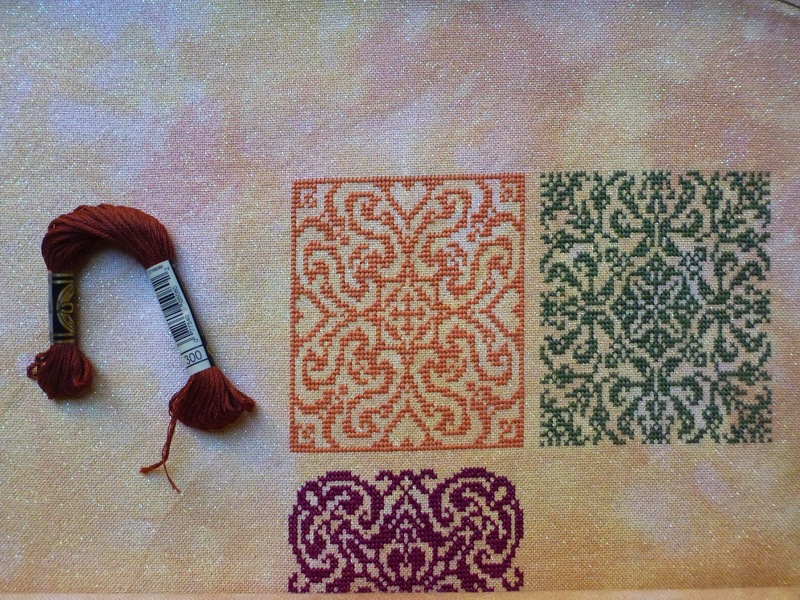 I've got the next colour worked out and that part of the pattern printed. So I should have a start on that later once I get all my writing out of the way. Congratulations on your mini finish...it's beautiful! 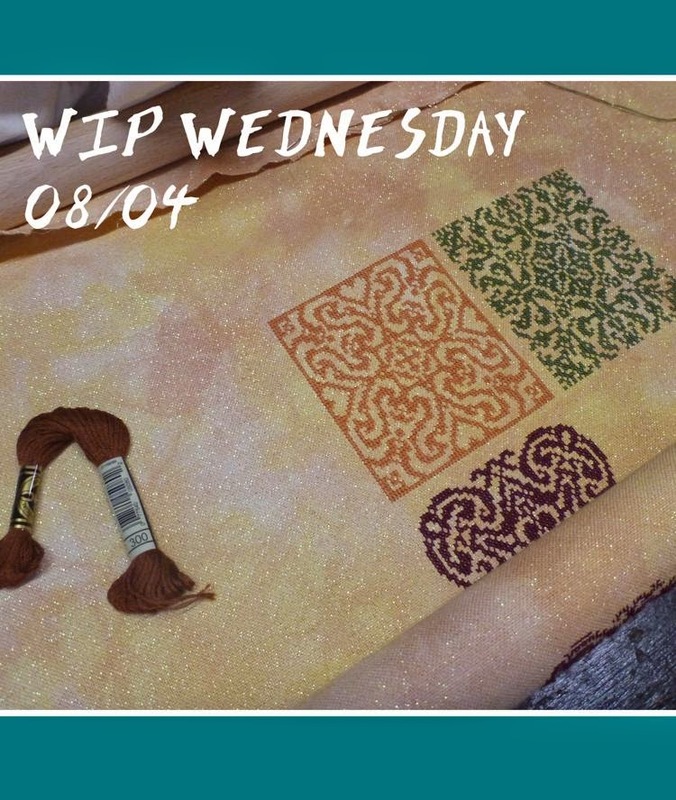 I am not trying to do WIP and the A to Z Challenge. Too much for me! Congrats on finishing up another motif!!! I knew I wouldn't be able to keep up, so I did not join any of the challenges going on. Nonetheless, I am still enjoying seeing what others are posting about! Congratulations on your mini happy dance. It looks great on its own and as part of the bigger picture too. Well done on your mini finish :o) Any small goal that has been achieved is great! Well done!